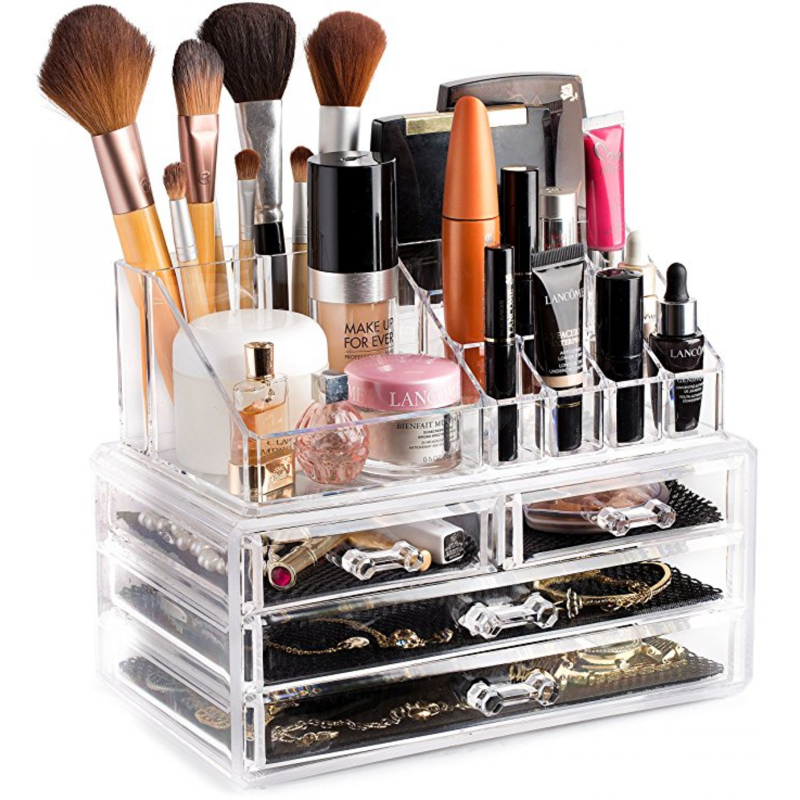 Clear Cosmetic Storage Organizer - Easily Organize your Cosmetics, Jewelry and Hair Accessories. Looks Elegant Sitting on your Vanity, Bathroom Counter or Dresser. 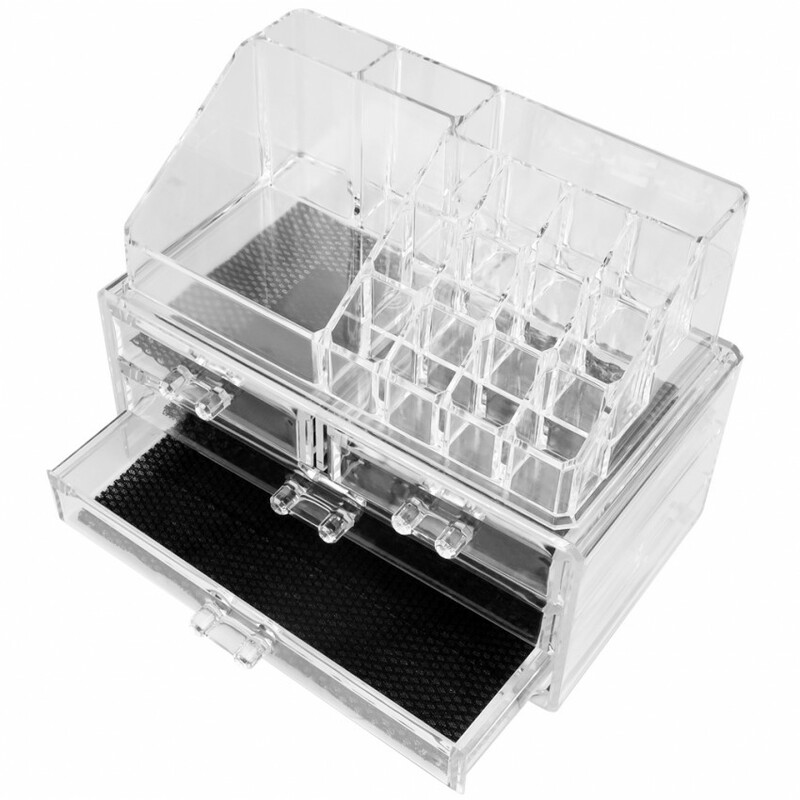 Clear Design for Easy Visibility. 8. Does not contain accessory items shown in the picture.